Customer steers towards success with Prima LX 2525.K! 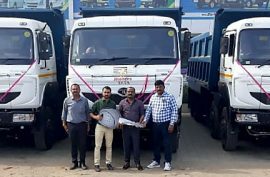 One of our esteemed customers, proprietor of a stone crusher in Kabrai recently purchased 6 units of Prima LX 2525.K for his stone transport business in Kabrai. 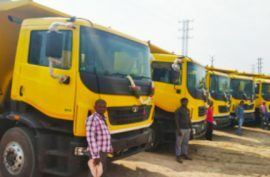 He wanted a tipper which provides the best economy & drivers comfort, safety. 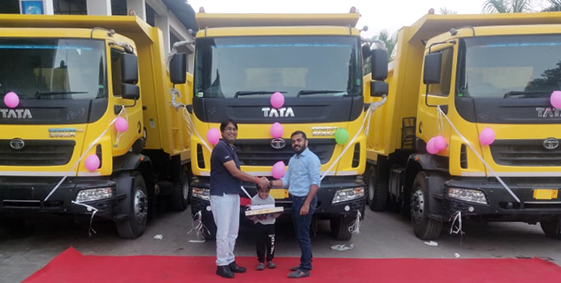 He shortlisted Tata Motors Prima Tippers as the best option for his business. 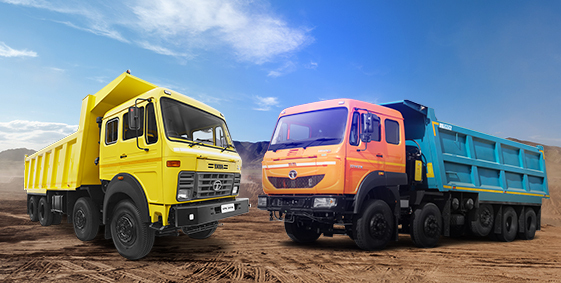 Tata Motors firmly believe that trucks are more than products, they should connect with the business of the customers and go extra mile to increase his profitability as well as provide comfort and safety to the drivers, we suggested he invest in Prima LX 2525.K – a BS IV compliant tipper that is an ideal combination of power and economy for mining and construction and is extremely useful in carrying heavy loads. 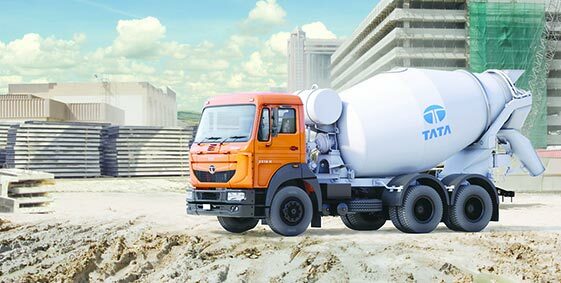 With its powerful engine of 250 HP delivering 950 Nm torque with a 9-speed gearbox and best in-class gradeability, we knew Prima was ideal for a business that required transportation of heavy loads across difficult roads. Its ergonomic cabin would only ensure that the driver could drive with ease and comfort! In the picture is the satisfied Customer after he was guided properly by our sales people. 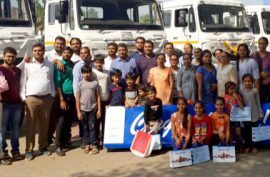 Signa 3718.TK – the consistent crowd-puller! Forging new paths to success. Customer scales newer heights of success with Prima LX 3125.K!